Honey bees, solitary bees, hoverflies and everything else enjoy the feast. The 'rotation' of the flowers through the season means there is food for up to 4 months. 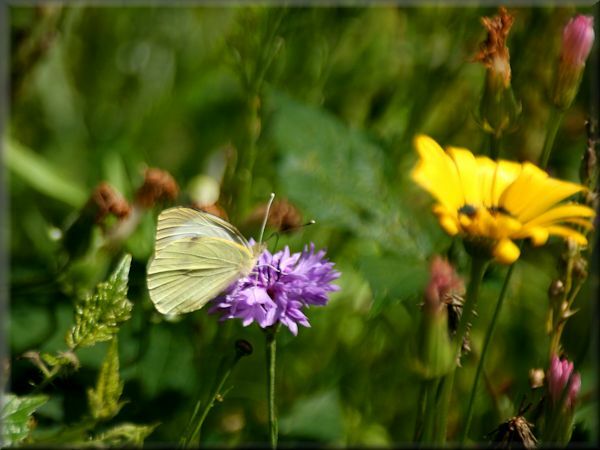 The patch of brightly coloured flowers also proves irresistable to several butterflies. Especially the 'meadow brown and various 'whites'. The green-veined white butterfly - is shown. 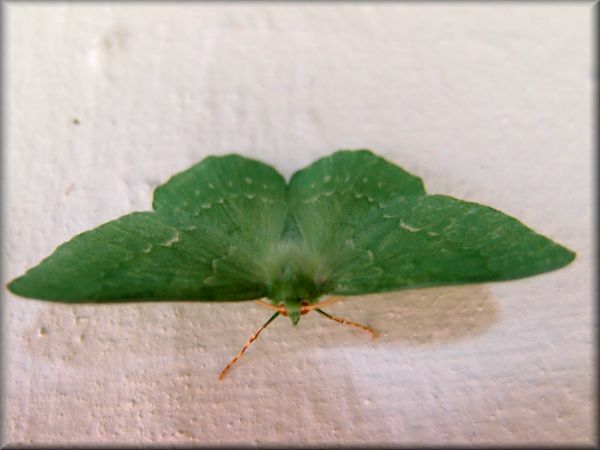 Common emerald moth (Hemithea aestivaria) resting during the day under an overhang. Moths are less obvious, but the varied plants attract them. Solitary bees - find their food in abundance in a cornfield patch. There are about 200 species in the UK. They don't live in a hive. They aren't social. Often we glance at them and think they are a honey bee (although some are clearly very different such as the mason bee with it's orange back). Hover flies - easily recognised because they - well - hover. There are about 250 UK species. They also eat aphids so, bonus! Cornfield patches certainly work for them. Honey bees are in crisis after several atypical winters and poor summers. In addition, they are being attacked by varroa mite, viruses, affected by pesticides. Plus there is less food available in gardens with our obsession with large, double bloomed, inaccessible flowers. Bees can't get into many double blooms. They evolved to access the original, single blooms. Also, some flowers are so over-bred that they lack in pollen. 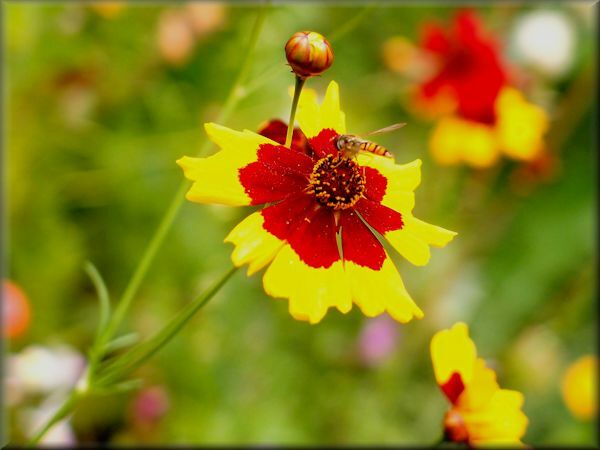 The cornfield mix offers simple, accessible, pollen-rich, native flowers. We can't alter the weather but we can provide a huge banquet of bee-friendly, accessible (single bloom), pollen-rich flowers. The bigger the patch and more abundant the flowers the better, so bees just buzz from one full plate to the next .